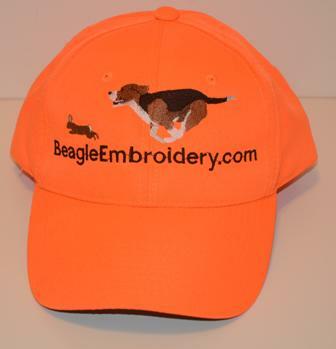 Blaze hat with BeagleEmbroidery.com logo. Velcro closure, structured hat. Have your name put on the back for an additional charge. Usually ships in 5 business days.